Two proposed ‘Concept Wastewater Treatment Plant’ projects in China showcase an ambitious undertaking: to design, build and operate treatment plants with a fundamentally different approach to managing water pollution. The professionals behind the concept aim to transform China from a cautious follower of global norms into a resource-recovering leader of the 21st Century wastewater industry. When it comes to public infrastructure, China’s ambitions rarely feel modest. With outcomes measured foremost by volume or velocity, the ancient country with the world’s largest wall has in recent years also constructed the world’s largest dam, the world’s largest airport, the world’s biggest sea-bridge, the world’s fastest trains, the world’s largest building, and the world’s biggest solar plant. To sustain breakneck urbanisation and industrialisation, the country’s officials are now seeking to combat the effluent, which all that growth has left behind. In doing so, they have started what could only be described as the world’s largest clean-up operation. Consider that from 2000 to 2014, the total number of wastewater treatment plants in cities increased from 481 to 3,717. China can now process 140 million cubic metres per day, an amount surpassing all other nations. [See box: China’s Change Agent] But not only has there been a huge increase in the number of plants, this has been combined with a new concept: better technology, carbon neutrality and new strategies for management. China’s Concept for Wastewater Treatment Plant (WWTP) has shown the country’s ambition to become a leader rather than a follower in the wastewater industry. But while this new approach is laudable, there is a lot of work to do. “Wastewater discharge standards have been way too low,” says He Xiaoxia, head of the Beijing-based Green Beagle Institute. In 2014, Yale University assessed government progress in wastewater treatment, and agreed: China ranked 67th out of 178 countries, far from impressive for the world’s second largest economy. 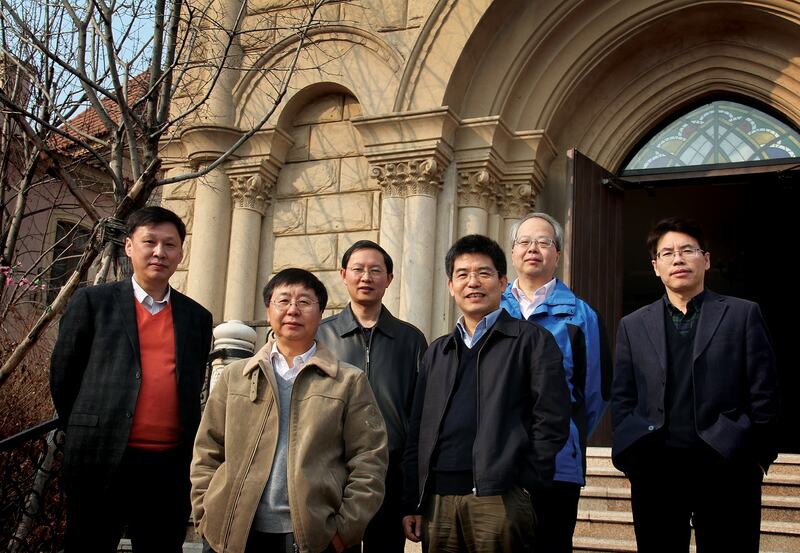 Until 2013, when a group of six academics came together to develop the Concept WWTP, few were challenging the status quo. But Jiuhui Qu, Kaijun Wang, Hongchen Wang, Gang Yu, Bing Ke, and Han-Qing Yu were prepared to not only highlight the problems but also to carry through some radical solutions. A key issue in terms of energy management is that the majority of wastewater treatment processes in China are based on extended aeration. “Almost two-thirds of existing treatment plants still use traditional extended aeration and these consume 50 percent more power than anaerobic sludge digestion,” says Han-Qing Yu of China’s University of Science and Technology. “Many plants are marred by high costs, weak performance, short-termism, and cost-cutting,” explains Jun Chen, chief engineer at the Jiangsu Institute of Environmental Industry. That mindset, he says, “distorts the development and reduces the effectiveness of wastewater treatment systems”. In August, China’s Vice-Premier Wang Yang reiterated that it will be a “formidable task” to clean up water pollution, and called for a comprehensive metamorphosis following the launch of China’s new action on water pollution in April 2015 (see box: Water Ten). Speaking at a meeting to discuss progress on the strategy, Wang called for higher accountability on the part of local officials, binding targets for environmental quality, and new incentives for water protection. “Not only do we need a fundamental change in thinking about development and ways of development but we also need technological breakthroughs as well as commitment and legal support,” said Wang. That commitment is shared by the group of six and two years before the national government was banging the drum, they had co-authored a long paper Building the Wastewater Treatment Plant for the Future, which called for a radical overhaul. It was an audacious move, but an effective one. While others complained of problems, these six individuals formed a grantmaking committee and advanced a shared vision of what to do about it. “Rather than perpetuating the old ways of wastewater treatment, we need to build the health, resource and recycling factories of tomorrow,” says Jiuhui Qu of China’s Research Centre for Eco-Environmental Sciences. 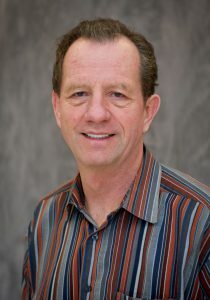 Under his leadership, the Executive Committee proposed to build one Concept Waste Water Treatment Plant (WWTP) within five years. draw inspiration from closed-loop, energyneutral, and toilet-to-tap systems like Singapore’s NEWater project, Austria’s Strass plant, and Southern California’s Water Factory 21. In bringing the concepts to life, these six leaders are looking for cuttingedge technology from beyond China’s borders–and plan to improve on it. They see pollution as one of the world’s greatest sustainable resources and reframe China’s water crisis as a huge opportunity: to apply foreign tools to local needs; to pioneer new scientific concepts; to achieve a new level of global relevance; and to learn from past failures in order to adopt a spectrum of solutions that earlier, developed countries didn’t have. China’s State Council earned praise in April 2015 after working across a dozen ministries to unveil its national Action Plan for Water Pollution Prevention and Control. Long anticipated, the Water Ten Plan lays out 10 measures, with 38 agendas, and 240 specific actions, each identifying firm deadlines, close evaluations, aggressive crackdowns, and more accountability for local agencies. The plan seeks to protect surface water in seven river basins: Yangtze, Yellow, Pearl, Songhua, Huai, Hai and Liao River. It sets urgent, strict targets for water scarce regions such as Beijing-Tianjin-Hebei, Yangtze River Delta, and the Pearl River Delta. And it has the resources, and teeth, to make it happen, with the central government setting aside a 2 trillion RMB war chest to support implementation. The plan aims to neutralise effluent from factories in the ten worst water-polluting industries: paper mills, tanneries, textiles, dyes, oil refineries, smelters, electroplating and pesticide producers. Small factories must comply with national policy standards and industrial regulation by 2017, or be shut down. Still, the rounded numbers appear simplistic. While some worry China isn’t moving fast enough, it may be moving too fast, potentially shutting down all industrial activity in the next 15 months. 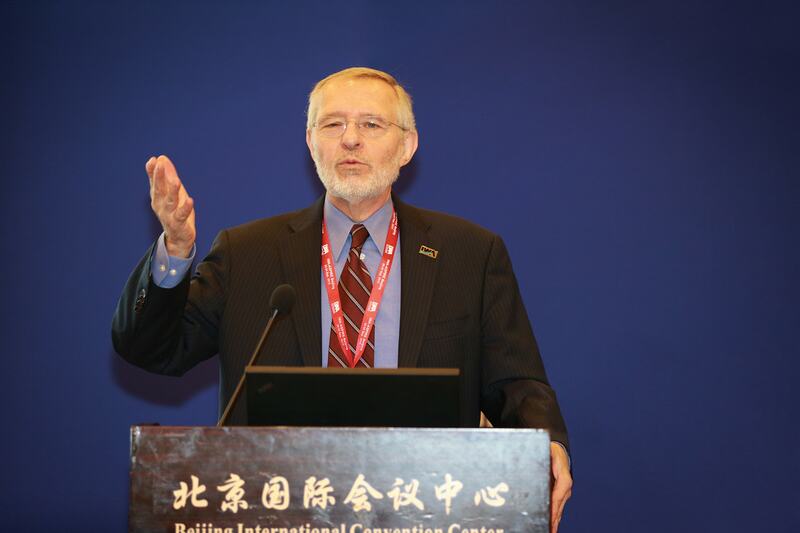 designed plants should prove both prestigious and potentially lucrative since China will continue to be one of the largest wastewater treatment markets in the world,” says Jun. Foreign experts agreed. 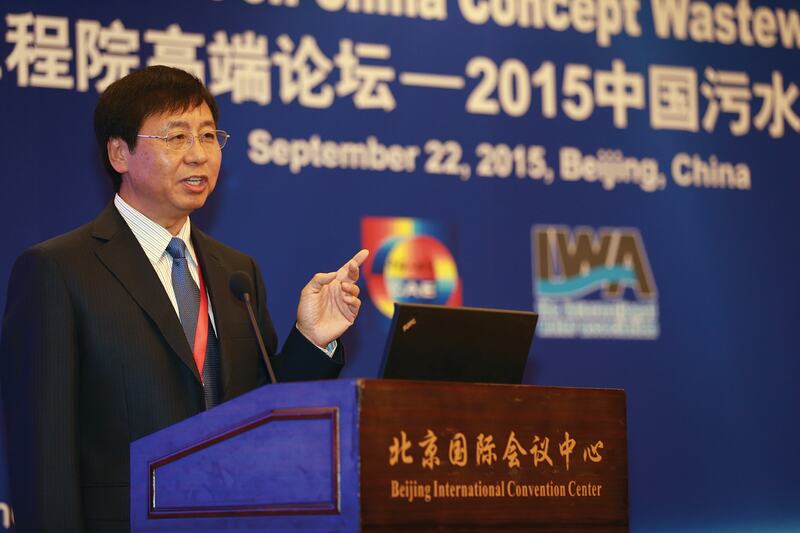 The conventional big, powerhungry, centralised wastewater treatment plant is becoming obsolete, said industry leaders. Replacing it are nimble, decentralised systems that focus on the five Rs of water and wastewater: reduce, reuse, recycle, recover and replenish. “Today there are many technologies that can start to deliver these outcomes,” says Halvard Odegaard, Professor at the University of Science and Technology in Norway, who attended the September meeting. And as resource recovery frontiers are explored, China is well positioned to be a global pioneer in how new plants “can be very compact and fit even in very densely populated cities”. China’s bold effort to re-conceptualise their water, carbon and energy systems can help build a ‘circular economy’ that closes resource loops. “At this point we do have the concepts and an initial set of numbers underpinning this is as a realistic target but what we now need are cities to step forward and really take this on,” says John Crittenden, Director at Georgia’s Institute of Technology in the US. Two cities have done precisely that, bravely entering uncharted territory. Based on a positive response from the central government, Beijing was chosen for a demonstration plant, with Changping TBD selected as the specific site. Han-Qing Yu envisages an ‘underground’ wastewater treatment plant with capacity to process 100,000 cubic metres a day. It will become a truly sustainable city eco-plant that generates its own energy, yields high water quality, and recovers resources in an environmentally friendly manner. Yixing City needs to treat 566 cubic metres of wastewater per day, yet remain China’s foremost Environmental Industry Park, that can attract top talent and promote technology closer to the water market in China. Both prototypes, loaded with advanced equipment and guided by progressive management, will be designed in early 2016, built over the next two years, be up and running by the end of 2018, and be scaled up nationwide from 2030 to 2040. What sets these plants apart from others? One remarkable aspect of this grant challenge, is that its leaders seem far less obsessed with quantifiable metrics–speed, scale, volume, and meeting simple targets on time and under budget–than with quality, caution, complexity and care. Local context trumps other factors. “Small and medium-sized WWTP’s are more feasible for reuse of the reclaimed water and natural purification processes should have priority in villages and small towns, though of course different areas of China should have different characteristics,” says Yi Qian, also of Tsinghua University. In short, each WWTP’s form must inextricably follow its function. No one-design-fits-all, so experts ask questions to define the complex problem, assess options, and develop customised solutions. Is influent waste rich enough to merit a biogas reactor? Can nearby farms benefit from resource recovery? Can the same outcomes result from renovation of an existing plant? Perhaps the most refreshing tactic of all is that the Concept WWTP project is on track to invest as much time, money and energy into vigorous debate and discussion than into actual physical implementation. A series of workshops will look in great depth at the challenges of de-ammonification, aeration, or micro-pollutant challenges to share knowledge with other top level experts around the world. Moreover, success will be measured not just differently, but repeatedly and continuously. Project leaders won’t complete the Yixing City demo, check it off a list, then move on. It will be tinkered with, adjusted, fine-tuned to future conditions. As will existing plants. Concept WWTP was established by professors. But having generated so much institutional, financial and political support, it is hard to think of it as an “academic exercise”. In other words, the outcome is the Concept WWTP’s radical approach; the product is the process itself. By that new measure the project has succeeded, long before the first shovel of dirt has been dug. In 2001-2013, under the leadership of Qiu Baoxing, the number of China’s urban wastewater treatment plants expanded sevenfold. As Counsellor of the China State Council he helped drive coverage from 30 to 89 percent, and growing capacity from 35 million to 150 million cubic metres per day. In short, on his watch more than 500 million residents were provided with wastewater treatment/sanitation services. To put that in perspective, that’s roughly the entire combined population of South America.